This is a great hip harness for your first suspension, as a top or a bottom. It's fast and easy to tie, and provides comfortable support in a seated or face-up position for the vast majority of people. It can also be used for inversions, but it's not the most comfortable inversion harness. In other positions it may provide some support in a pinch, but alternate techniques are to be preferred. The original Swiss Seat is an old-school/emergency climbing technique where you tie a climbing harness with rope or webbing. This adaptation of it for rope suspension is one I learned from Sir C many years ago. If you suspend someone by just a swiss seat, they will tend to tip over backwards and could hit their head; always attach the chest to the ring before going up in one of these. You can attach from just the leg loops, just the hip wraps, or do a hanger incorporating both, which usually works best. Each option will create a different angle of support relative to the body's center of gravity. Nina's video is now private so the link is effective broken. Oh, that's unfortunate. I guess I'll take down the link. Thanks. The second video seems to stop playing about halfway through for me. Just as you're about to show how to attach the rope to the hip harness is when it freezes. 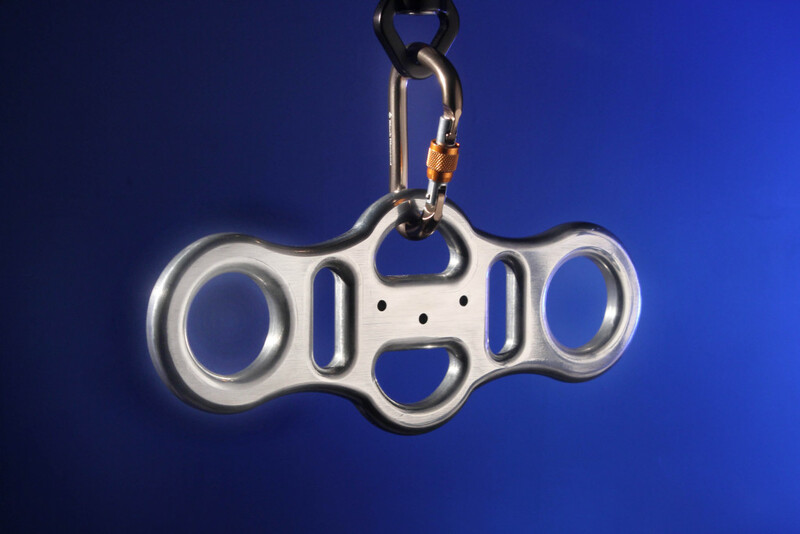 I want to do a suspension from this hip harness with one of the chest harnesses from this site. After tying the chest harness, I still have enough rope left to loop back to the front, and make a single column tie around my hips and start off on the first leg loop. My question is: would this be as safe as starting the hip harness with a new rope? 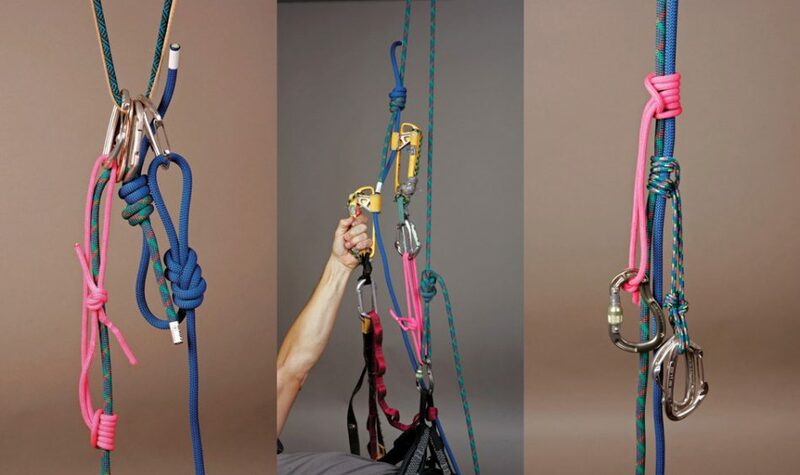 There are two issues to deal with in that type of setup: 1) Can you route the rope between harnesses in a way that neither gets floppy nor restricts movement in directions you need? 2) When starting the 2nd harness, are you able to secure it so that slack can't be fed in or out of the harness from the in-between rope? As long as those issues are adequately addressed, I wouldn't generally view it as a safety problem. But it's not often worth the hassle in practice. I think the answer lies in your comments on ropes, doesn't it? Use the right lengths for the job, and don't skimp. If StringsInside doesn't have enough length for the seat, then that's skimping, because the load "starting off on the first leg loop" is going to cause bruising in areas where wide support pad is part of the design specification, because major blood vessels are around. Given this is a level-3 page, I'll go a bit farther on other mountaineering kit which might be useful. An ascender, linked to a foot stirrup: https://d1vs4ggwgd7mlq.cloudfront.net/wp-content/uploads/2017/09/Climb-Safe-ascending-rap-ropes-cover-949x563.jpg. 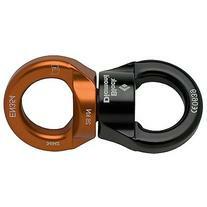 This is so you can gain access to the mountings to check them. 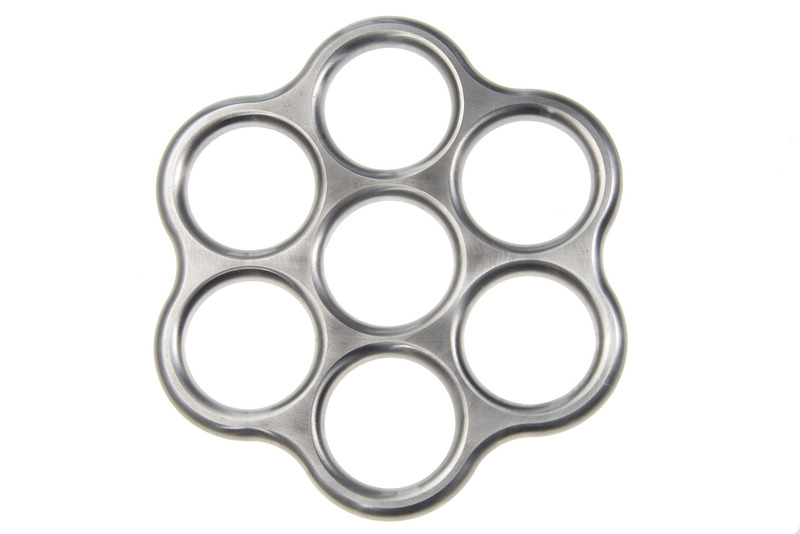 One or two specialists offer multi-loop suspension rings http://www.suspendedanimationcrew.com/book/images/011-003%20Revolver%20ring.jpg and bars http://www.mytopspace.com/wp-content/uploads/2015/03/Q-plate-1024x683.jpg which keep your lines apart, so they won't jam.